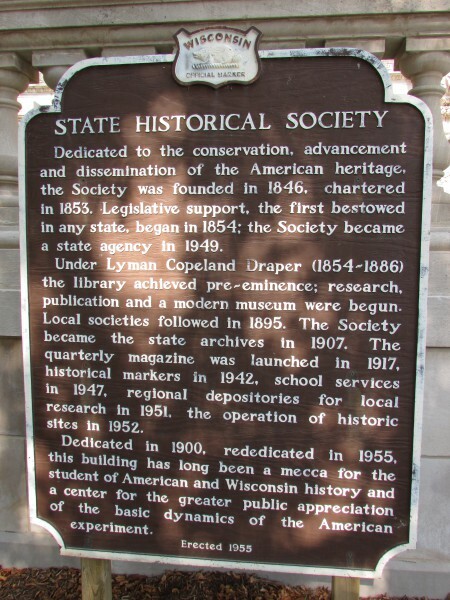 The University of Wisconsin (UW) traces it’s beginning back to when Wisconsin achieved statehood in 1848. 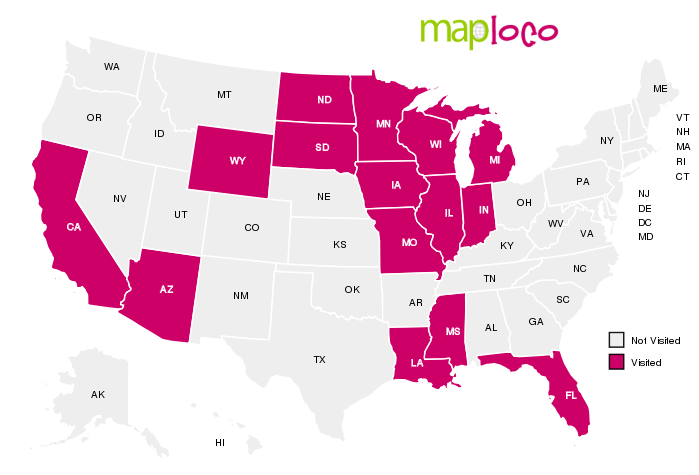 Today the UW serves all of Wisconsin and even the world with its many outreaches. Today we are exploring the Madison Campus. I didn’t have the opportunity to attend here (I went to Madison College). 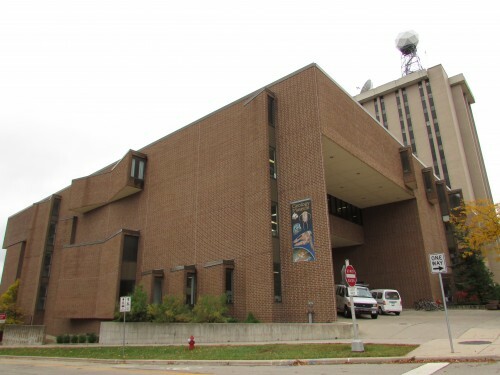 My grandfather Norman R. Braton was a Mechanical Engineer and Professor here at the Engineering Building for 29 years (1955-1984). 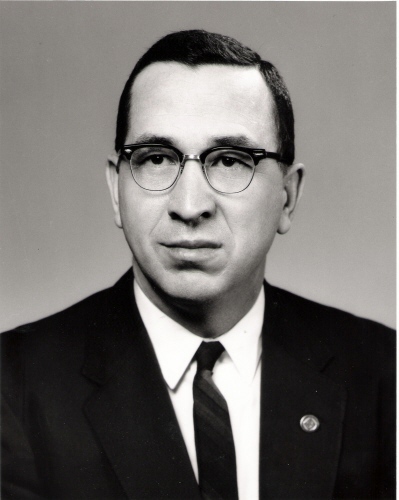 Here he is in the 1960’s. 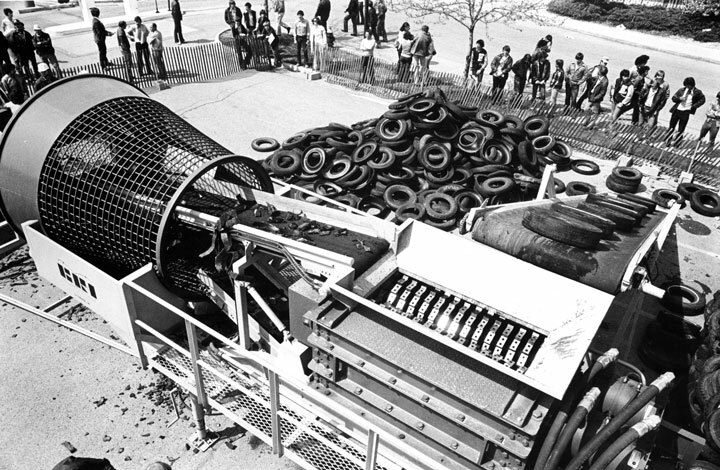 He was also one of the co-inventor of the Shripper, it shreds rubber tires to prepare for recycling. Photo from the UW archives, 1977. Read more of his accomplishments here and here. 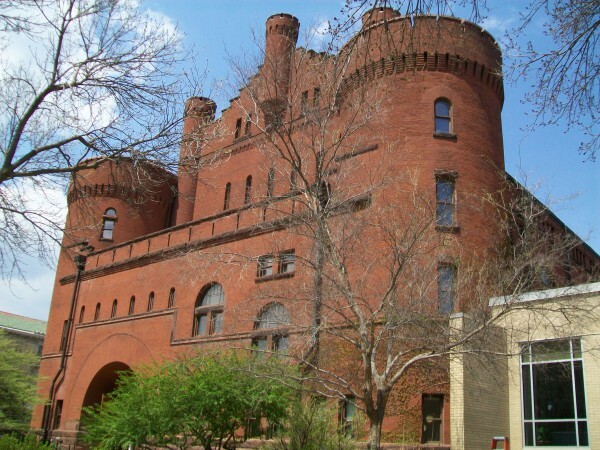 The 1986 movie “Back to School” was also filmed here at the UW. The campus unofficially begins at Library Mall. 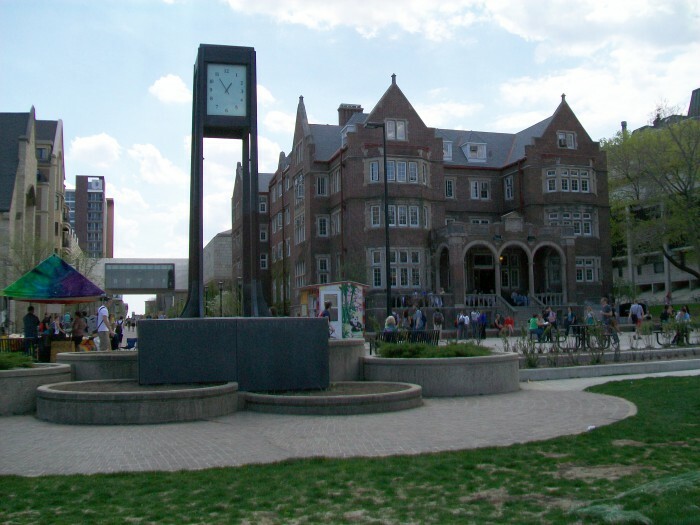 Here you will find the Memorial Library and the University Bookstore. 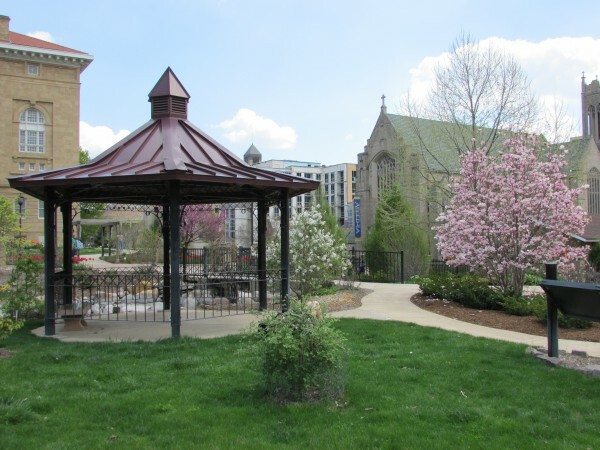 It has spent recent years full of construction equipment, so here it is long before that, in 2012. 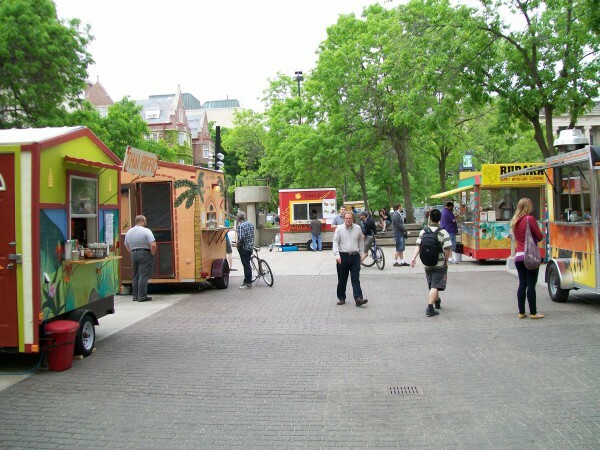 It is lined with food carts three seasons of the year, not winter. Also the clock streight ahead past the carts in 2013. 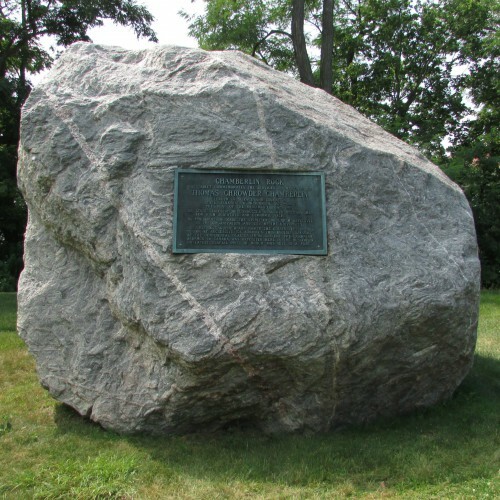 It was a gift from the class of 1923. 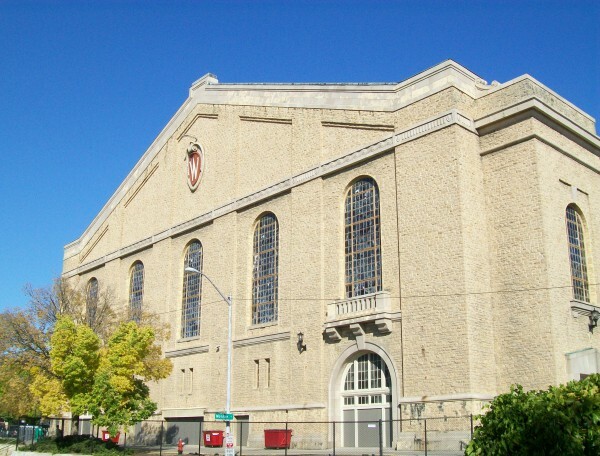 With the clock facing your back, you see the Wisconsin Historical Society, the Memorial Union and the Red Gym/Armory (1893). 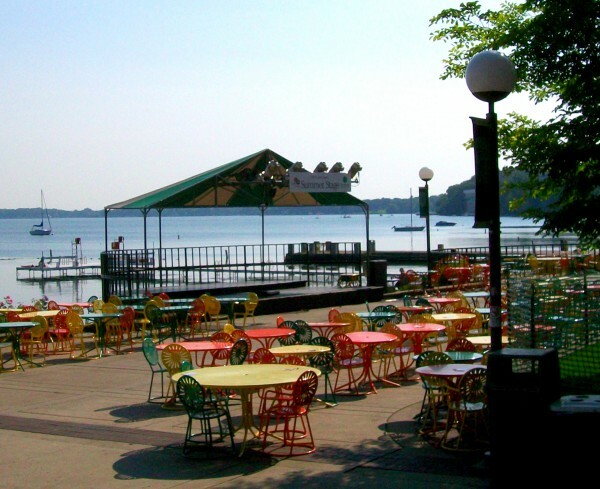 The Memorial Union is a favorite hangout in Madison. Let’s go behind the building to the Union Terrace. 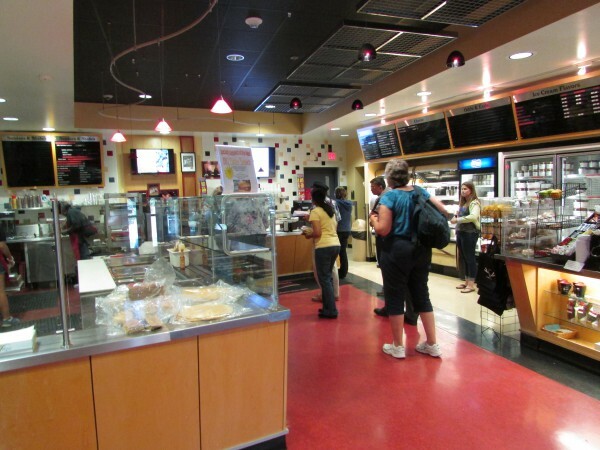 It was remodeled last year, here is how it looks in summer 2014. 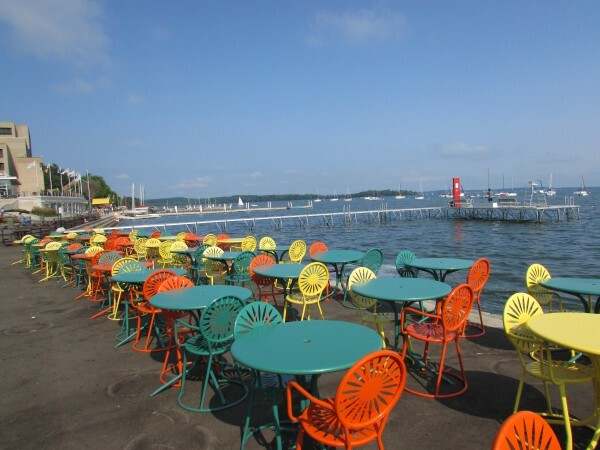 The colorful terrace chairs and the Lake Mendota views have delighted residents and visitors for generations. 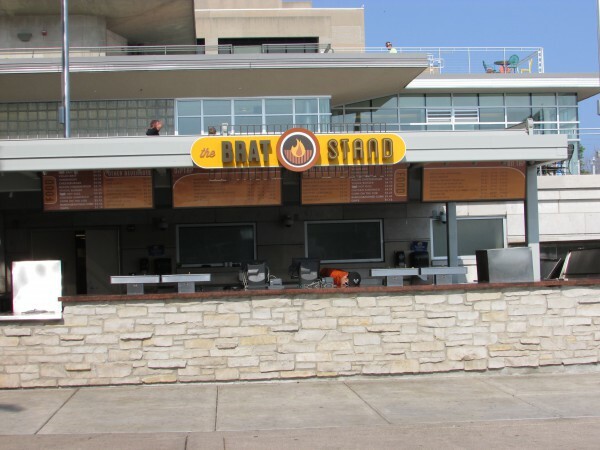 The Brat Stand is also open in the summer to enjoy a meal by the water. There is also a stage for outdoor concerts. The UW Hoofers base of operations for the sailing club is also here. This is an organization anyone can join for a variety of sports and hobbies. 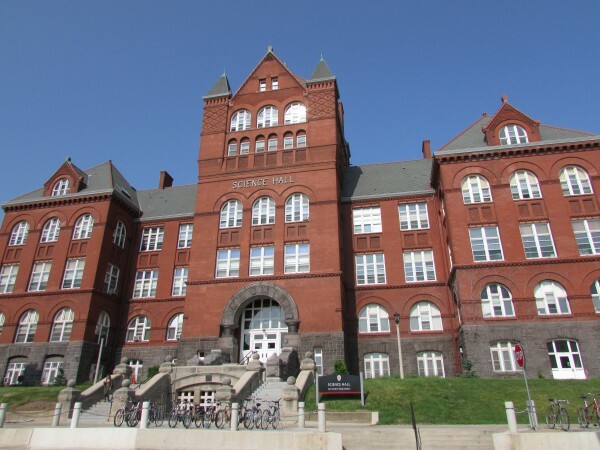 As we leave here, the majestic Science Hall in red brick towers over the union. Now we make a right then another left onto Observatory Drive, another place for great views. The hill is VERY steep, I had to walk my bike. 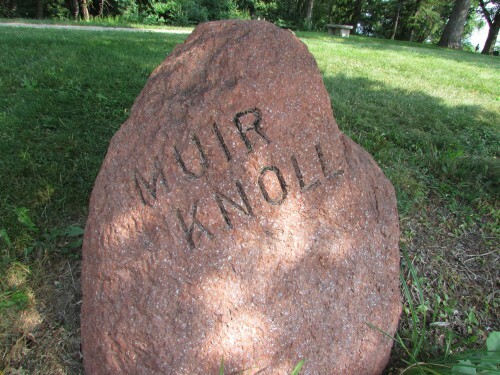 We soon come upon Muir Knoll in the Bascom Hill Historic District. 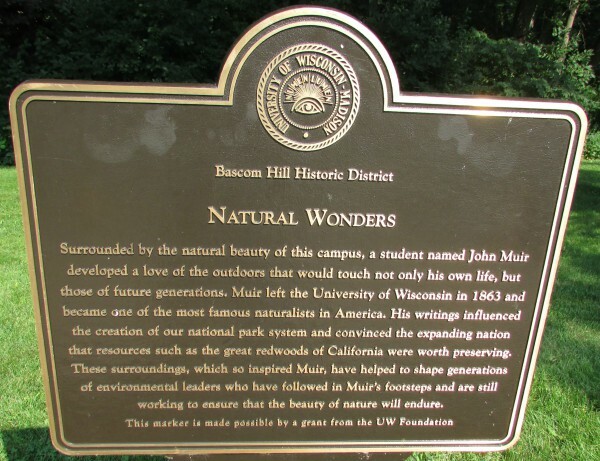 John Muir was a student of UW, the Class of 1863. He became a naturalist known world-wide. 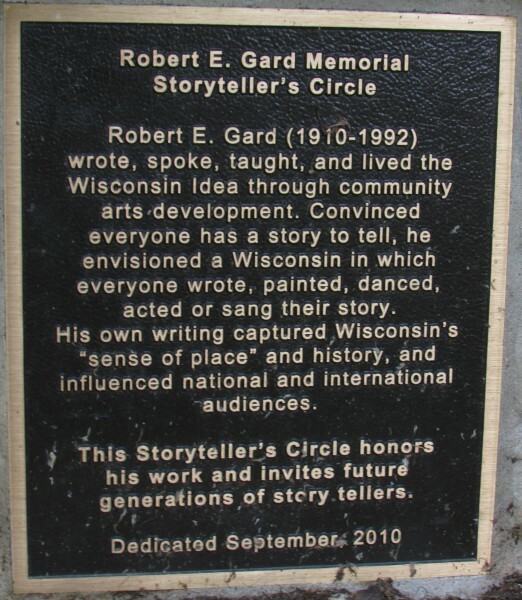 There is also a Storytellers Circle made of stone to sit and converse. Long before this in 1919, it had a ski-jump! 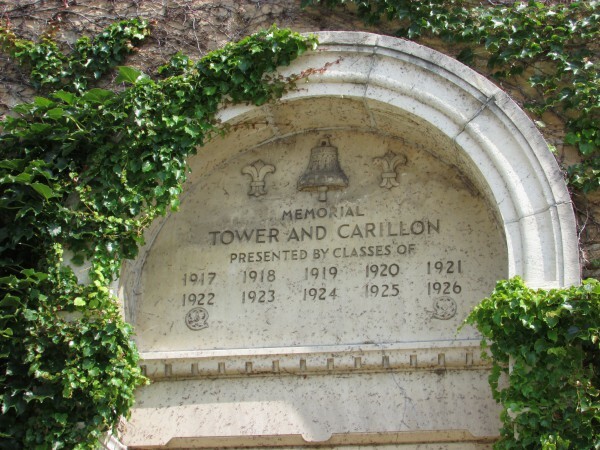 We now are way above Lake Mendota, we now reach the famous Carillon Tower. It is now striking 11:00. It is not mechanically chimed, a man named Lyle Anderson has played it for 31 years. He retired in August 2016 and it has stood silent since then. 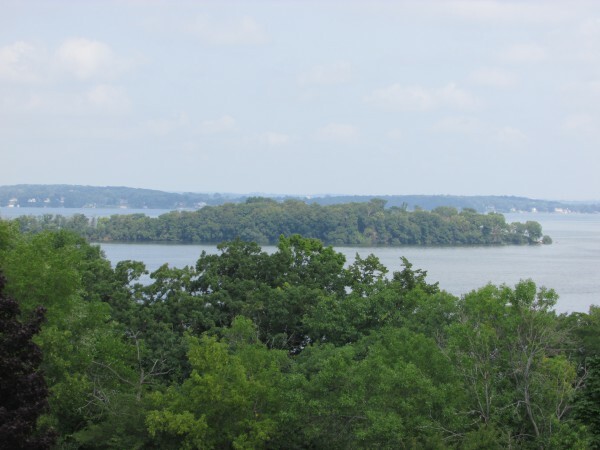 We continue down Observatory Drive, now we are way above Lake Mendota. From here we can see Picnic Point, a long tongue of forest reaching out into the lake. 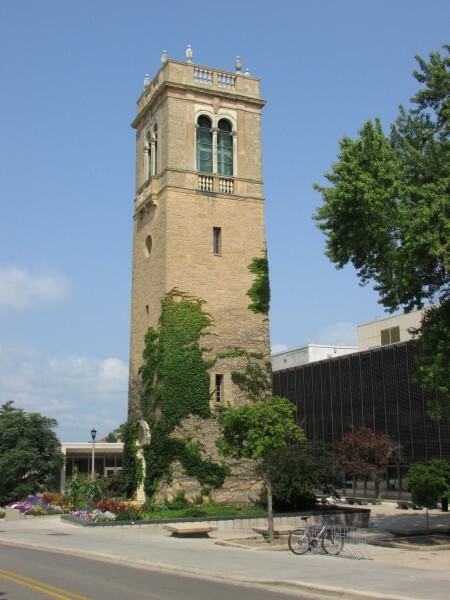 On our left is Washburn Observatory, Madison’s own portal to the stars. 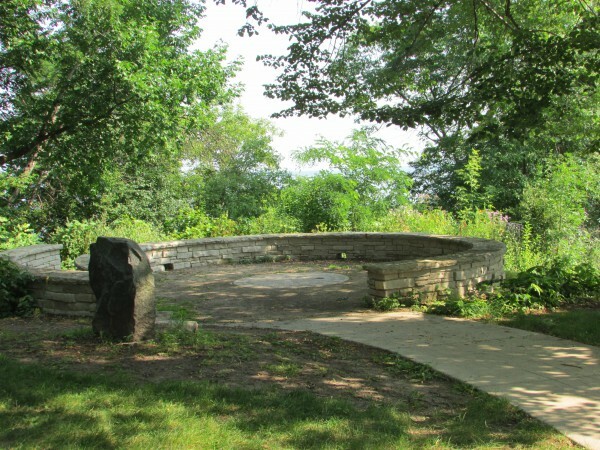 It’s open to the public during events like eclipses, planet viewing, meteor showers and such all year around. On the grounds to the right is a very large boulder, determined to have been left by the glacier that was once here. 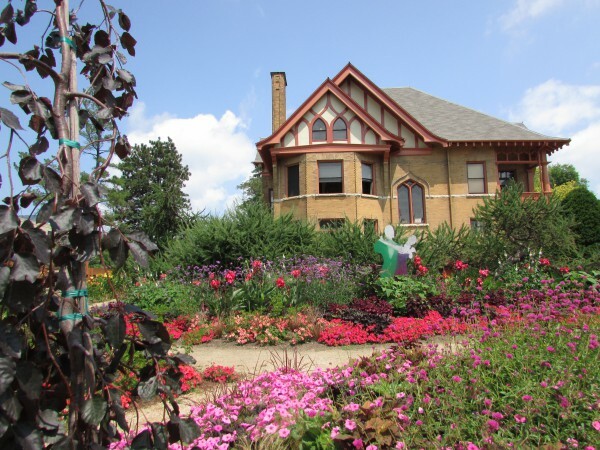 Next we are stopping to smell the daisies and more at Allen Centennial Gardens, another part of the UW Campus not far from Washburn Observatory. On February 19, 2015 they hosted their first Luminous light show in the garden. What a great winter evening with a beautifully lighted path and warming fires surrounded by people roasting marshmallows! They will have it again in 2016. Head down to Lake Mendota just down the way, you will find the Lakeshore Path beckoning you to take a walk or bike ride. 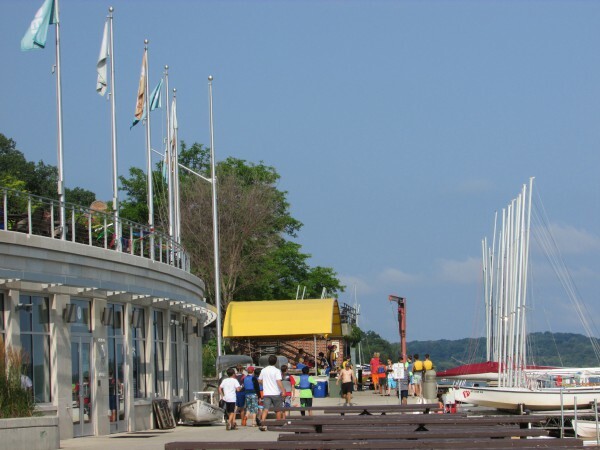 Also the Porter Boathouse looms in the distance. Near here on University Ave. is the UW Botanical Garden. Both are so beautiful! 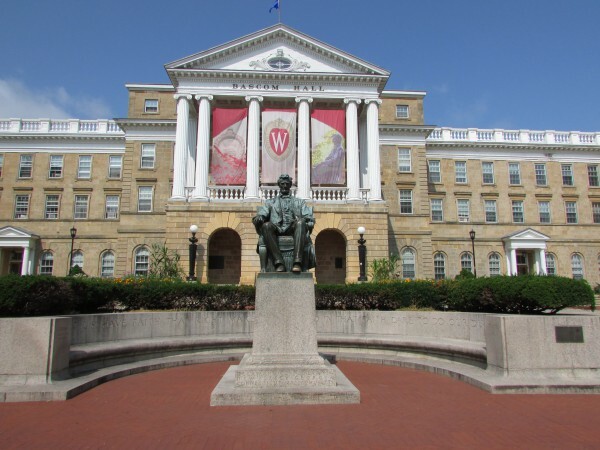 During the football season, Camp Randall is the place to go for a Badger game. 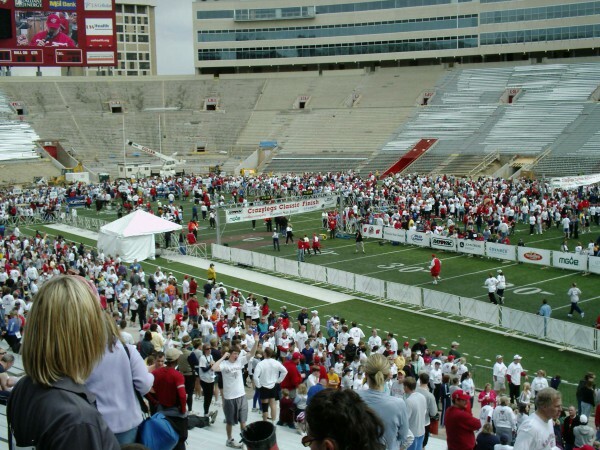 Here is the inside of the stadium after the Crazylegs Classic run/walk, last Saturday in April every year. It was remodeled about 10 years ago. We have done this event several times, a lot of fun! And the Camp Randall Arch. 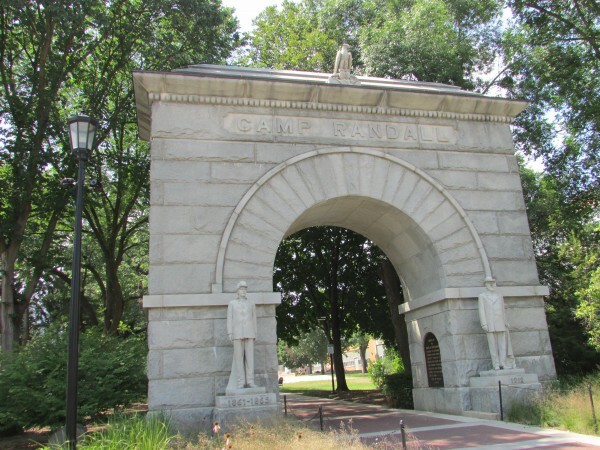 Camp Randall used to be a Civil War base long before it was a football stadium. Go Badgers! 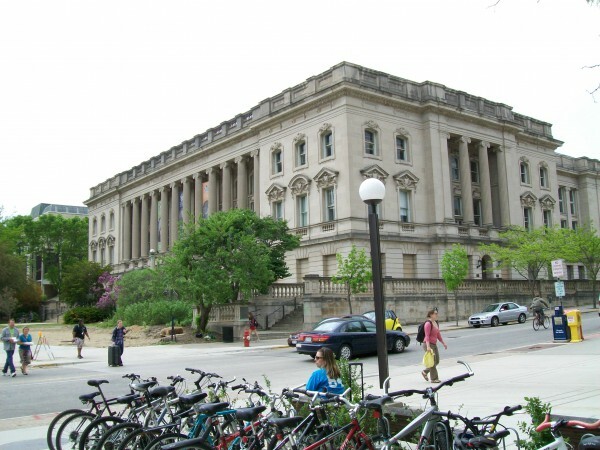 For those people interested in rocks and minerals, the Madison Geology Museum is for you! Also free admission. 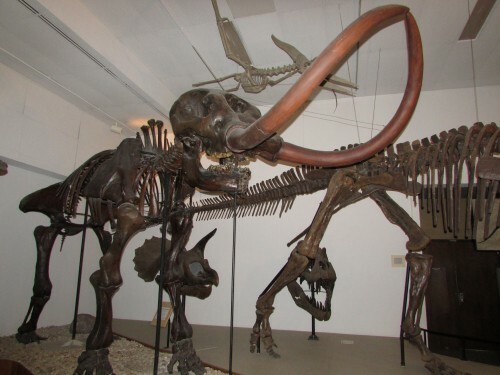 The kids will love the pre-historic skeletons on display too! 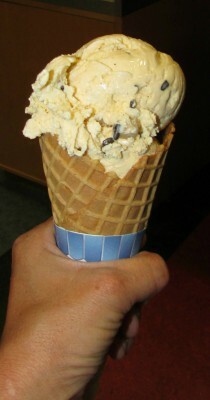 After a great day of exploring, a stop at Babcock Hall Dairy Store for some of their famous ice cream is a must! I have coming here for a ice cream treat since childhood. 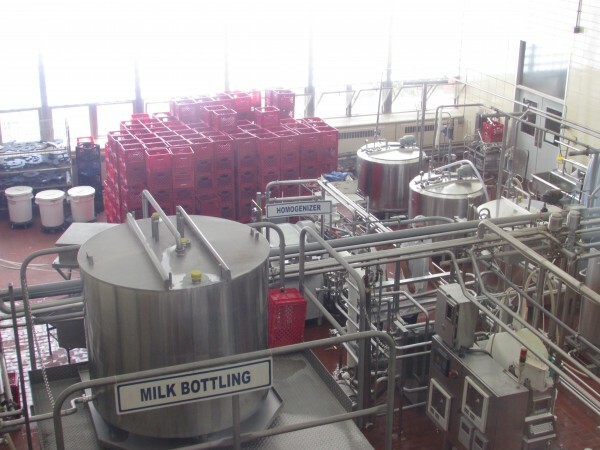 You can even go to the 2nd floor and watch them make cheese and the ice cream through the large windows. This is only the tip of the iceberg at UW Madison. 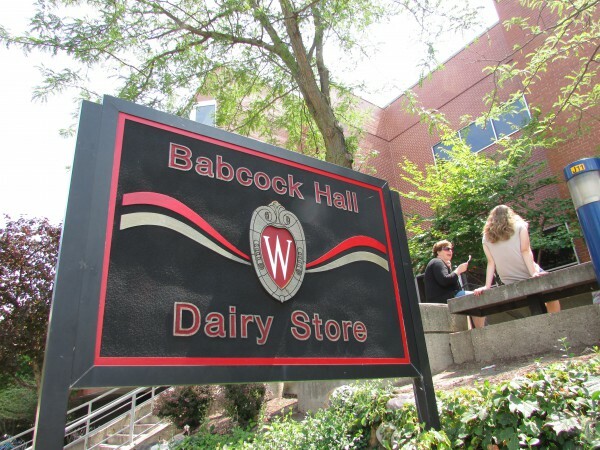 The UW welcomes everyone to come visit their campus, you don’t have to be a student to have fun here!